Avoid the crowds, get off the beaten path! 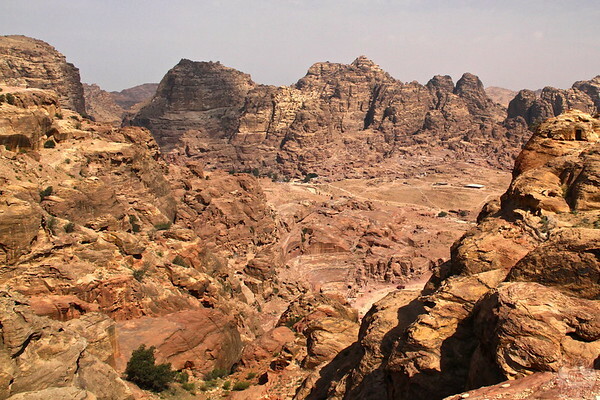 The site of Petra is huge. So if you have more than one day to discover this historical and visual gem, hire a guide and get off the beaten track! 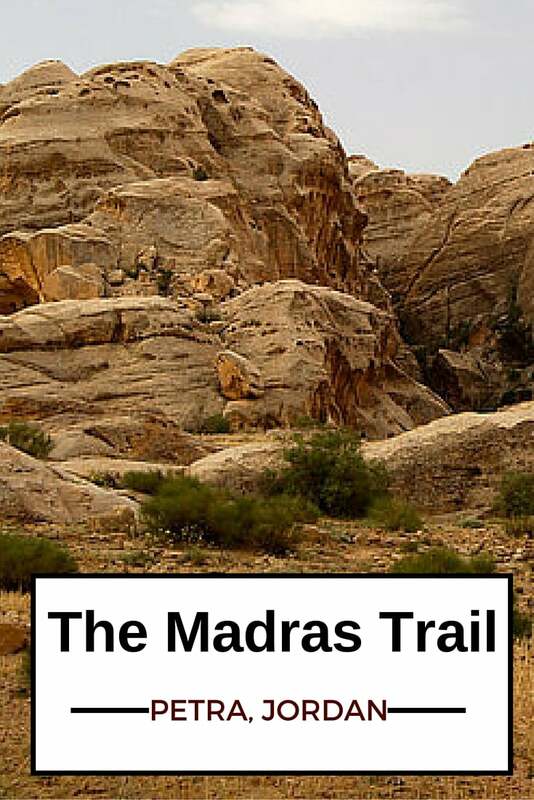 I personnaly discovered the Madras Trail. 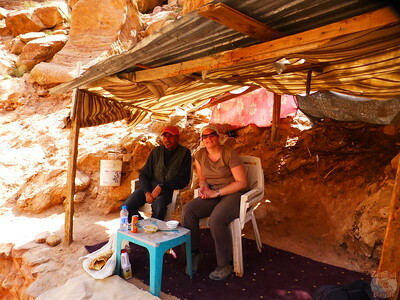 On my second morning in Petra, I met with my tour guide and we headed towards the Siq. But we did not enter it this time, we turn left to take the Madras Trail. 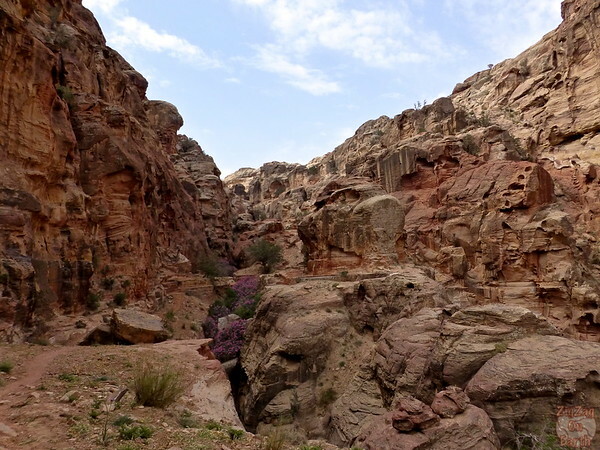 Time to get off the beaten track in Petra! 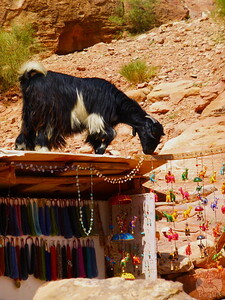 This is really off the touristic path. Until we reach the normal path to the High place of sacrifice we only met one other couple! And this couple was lost… lucky we were here. 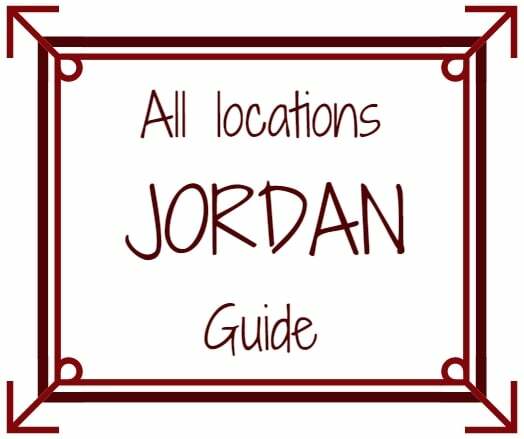 Therefore I recommend using a guide if you want to be more adventurous! 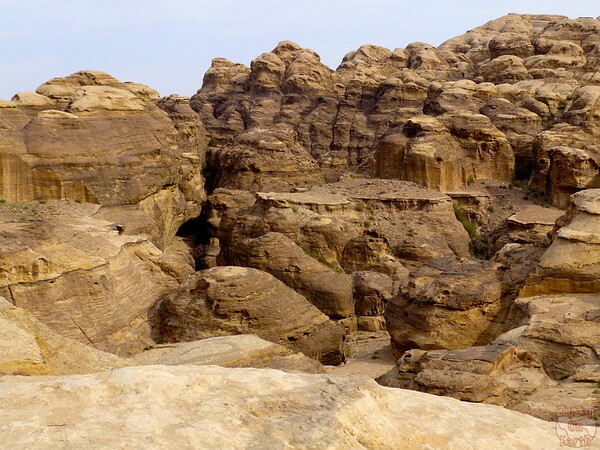 After climbing a bit in the rocks you get to see interesting shapes of rock formations. After a while through those amazing surroundings, my guide suggested a detour to get a view over the Treasury. 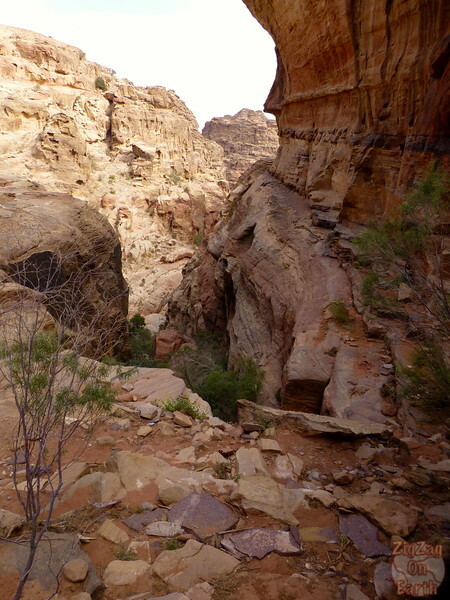 The path would have a steep part to climb (but not rock climbing) later in order to go back to the normal path. I decided that it was worth the effort. There were a few tricky parts but nothing with too much drop. I have a little bit of vertigo but managed this walk. The platform to observe it large enough: you can lie down. The way back was difficult and I had a bit of asthma but this view was definitively worth it. 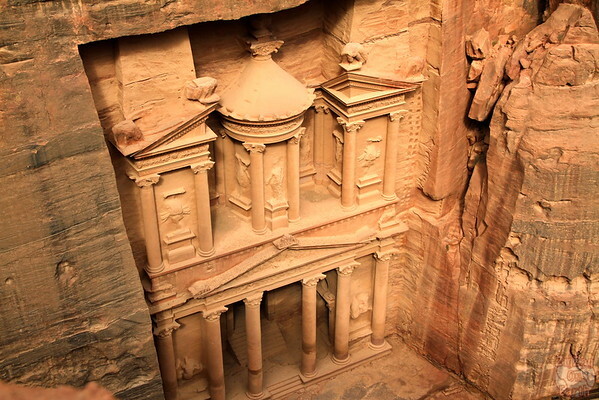 For more pictures of the legendary tomb, see my post about the Treasury. 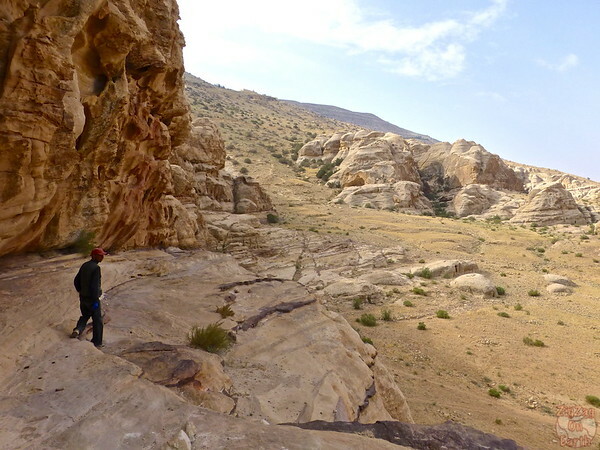 On the way back to the path leading to the high place of sacrifice, we admired some views over the valley in Petra including the amphitheater. I always love seeing things from different perspective! Nice to go off the beaten track sometimes, don’t you think?